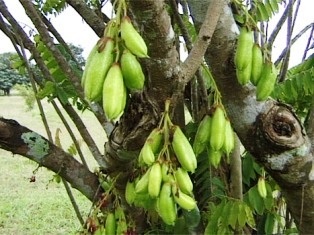 Bilimbi seems to have been originated in Moluccas (Indonesia).. 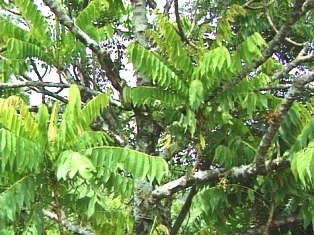 However, a school of botanists hold the view that Bilimbi is a native of Brazil and from there it was taken to South East Asia. Bilimbi is now grown in a large number of tropical and subtropical countries all round the world. It is planted in gardens of South Indian hills and can thrive there upto an altitude of 1000 m.
A graceful tree, upto 4.5 – 10 m high, trunk short and stout, sparsely branched; branches stiff, thick and upright. Flowers crimson or brownish purple, fragrant, in villous panicles borne on trunk and branches in cauliflorus panicles, hetreotristylous; petals free, 10-20 mm long. 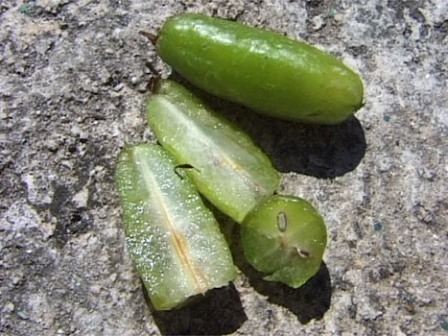 Fruit slightly lobed, ellipsoid to ovoid, upto 10 cm long, 5 cm wide, yellowish green at maturity. The fruits are edible but quite sour and rarely eaten raw. When ripe, it has the flavour of unripe gooseberry. But after a short time it acquires the flavour of strawberry. 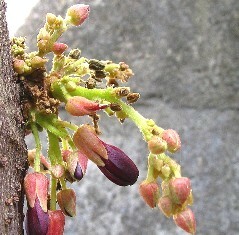 The main use of bilimbi fruits is as an ingredient of pickles, sambals, chutneys and curries (it is especially popular for fish curries), to which they add a tangy taste. Slices of the fruit may be served with salads or chilli as a side dish. Ripe fruits are suitable for making jam and the juice can be used as a refreshing drink (provided that generous amounts of sugar are added). Though bilimbi is low in calories, but it is a good course of vitamin C containing 30 mg of it per 100 g of pulp. 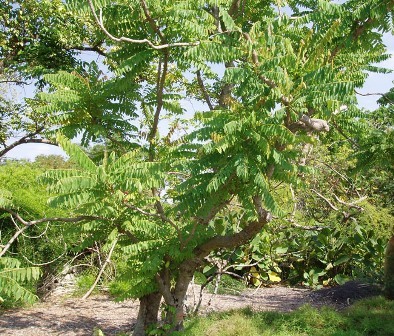 The fruit is said to have medicinal value in the treatment of fevers and skin ailments. The juice is traditionally used to remove rust and stains from knife blades, weapons, clothing and hands (the stain-removing properties are ascribed to the high levels of potassium oxalate). 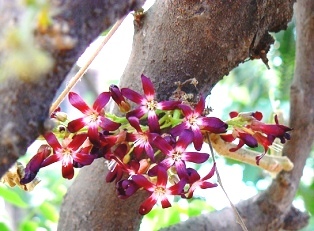 Bilimbi is rarely cultivated on a commercial scale. Its trees are mosly planted in home gardens. This fruit requires a tropical climate. The plant requires adequate soil moisture and is quite sensitive to drought. There is only one cultivated form, which can be propagated from seeds or cuttings. The seeds have a low viability and therefore should be sown fresh from the fruit. Fruits are produced sporadically throughout the year. These are sold fresh on local markets.